The Tempest Arms, Elslack, Skipton. 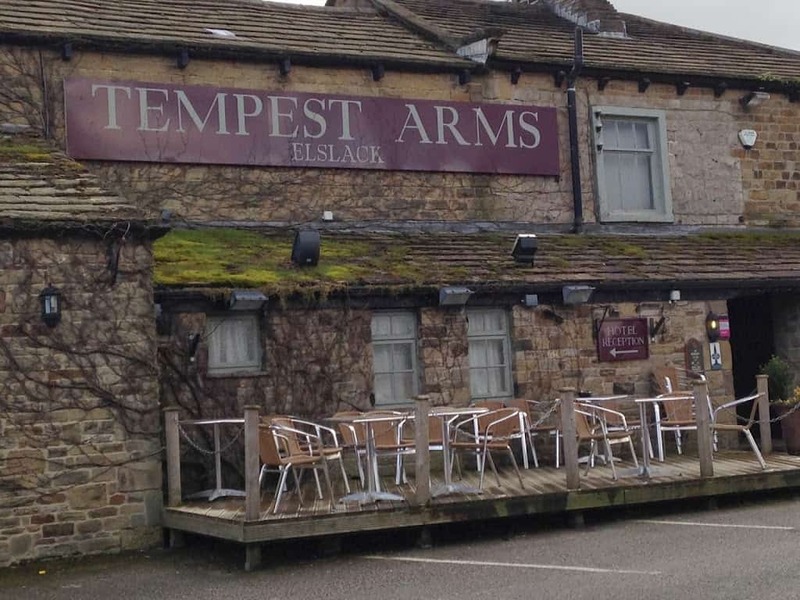 Yesterday we went to the Tempest Arms, in Elslack Skipton, set amongst the rolling hills of Yorkshire. We booked an impulse break at £70.00 for bed and breakfast. Great value for the quality, service and atmosphere you find there. 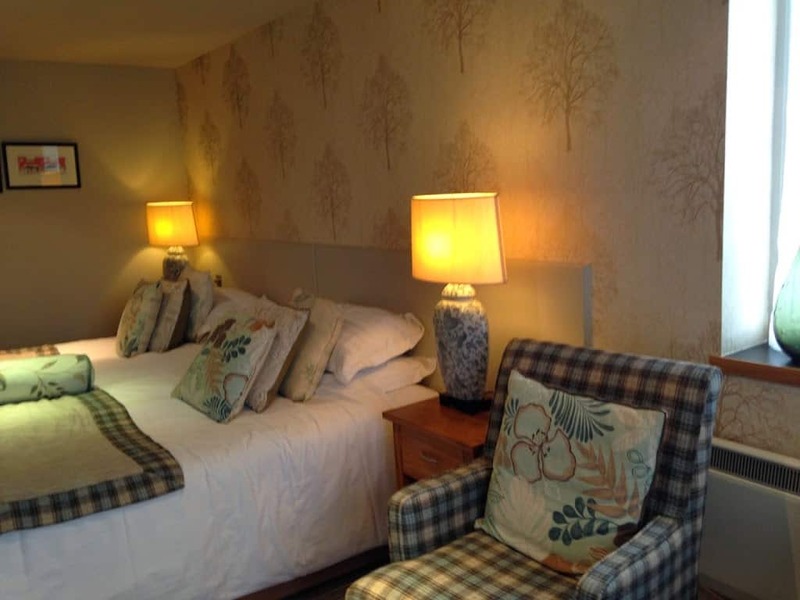 There are many great offers available if you check the website, although I have to say I would happily pay more for these gorgeous rooms. 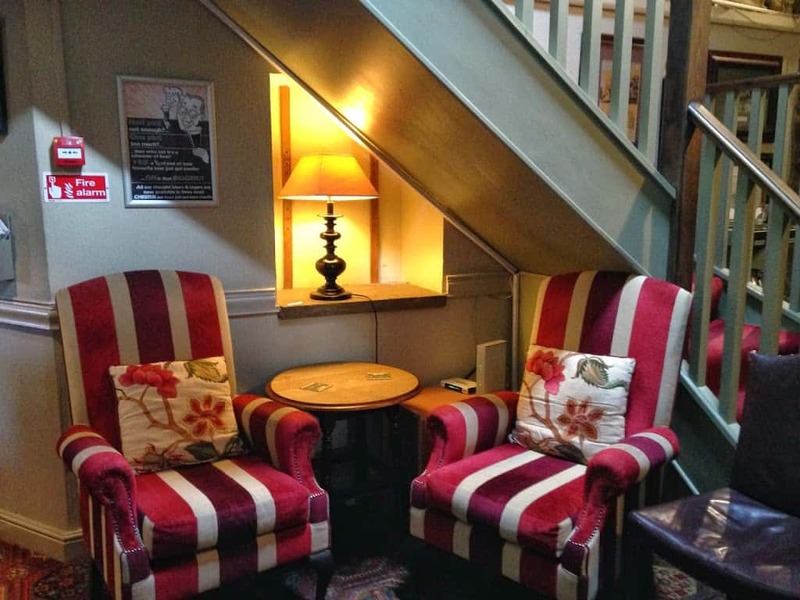 With lots of little nooks and crannies to sit in and two open fires to sit around. As soon a you sit down you feel chilled out and comfortable. Its the sort of place you could lose many hours chilled, and watching the world go by. The hotel reception has a huge variety of up to date magazines to suit all reading tastes and daily newspapers. There is also an array delicious cake free to take to your room should you feel peckish. We stayed in room 16, it was decorated to a high standard with a huge super king sized bed, a sitting area and coal effect log burner, it was warm and cozy yet modern with views over countryside, and a winding river. There were lots of nice little touches such as chocolates, fluffy dressing gowns, bottled water and rose smelling bath salts for a relaxing bath. The restaurant was excellent; the menu has so much choice and something to suit every taste. I chose duck spring rolls for starter, and lamb shark for my main meal. They were both delicious, as was the bread board that was brought to our table with a choice of breads. I made the mistake of being greedy and ate too much bread; by the time I got to my lamb I was so stuffed I struggled to eat half. So not a chance I could fit in a pudding. There was a good variety of choices for breakfast this morning, with great service and plenty of refills of tea, coffee and juice and morning newspapers This is such a great place to visit for a relaxing chilled night away, somewhere you can sit with a glass of wine by a roaring fire, with quality food and beautiful rooms. Can’t wait to visit again.